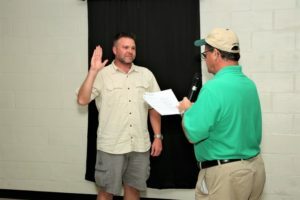 A new chapter member, Scott Wolland, was sworn in by president Ray Powell during the August member’s dinner meeting. Welcome to the chapter Scott. S-N IWLA | Powered by Mantra & WordPress.